The weather is garbage with thick, wet snowflakes that will turn into rain come evening. It’s been a busy week and today is no different. 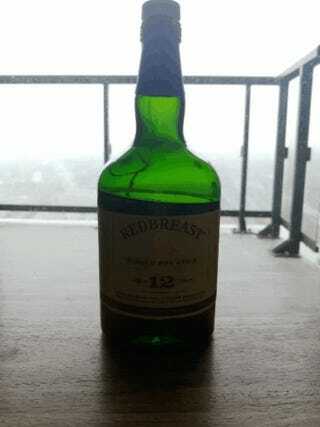 Here’s an artsy-fartsy GIF of my reward when today’s over, a nice bottle of Redbreast Irish whiskey.